In the early days of the 18th century, a new leader arose in the Jewish community of Eastern Europe. Known as the Ba'al Shem Tov, Master of The Good Name, the Ba'al Shem Tov was a mystical wanderer who believed that, contrary to the emphasis that Judaism put on scholarship as the best way to do God's will, one could serve God by praying with concentration and devotion, and living one's life with joy and religious sincerity. The Ba'al Shem Tov quickly attracted followers, and after studying with him for many years, these followers, in turn, attracted other followers. Slowly, these followers returned to their towns and villages and formed communities of "Hassidim", followers, dedicated to the principles that the Ba'al Shem Tov had taught. The original followers became the new leaders, the Rebbes, and their followers were their Hassidim. Each of these Hassidic communities took on the name of the town where their Rebbe was located, and thus, the Hassidim of the Hungarian town of Satmer became the Satmer Hassidim, the Hassidim of the town of Ger in Poland became the Ger Hassidim, and so on. Hassidism, as a concept, directs one towards the more emotional aspects of religious observance, and it is no coincidence that Hassidism flourished in the countries where people are known for being more expressive and demonstrative, such as Hungary, Romania, the Ukraine, and Russia - Hassidism never caught on in countries like Germany or Lithuania, where people are known for being more analytical and non-emotive. One Hassidic group which crossed that divide was the Lubavitch Hassidim. Originating in the town of Lubavitch in White Russia, from the beginning, the Lubavitch, also known as Chabad (from a Hebrew acronym that combines the words of Wisdom, Understanding and Religious Fervor) were known for both their commitment to the teachings of the Ba'al Shem Tov and their commitment to scholarly Torah study. Small pockets of Lubavitch Hassidim started to move to New York in the first decades of the 20th century, but when their Rebbe was able to flee Russia in the days preceding WWII, Lubavitch Hassidism began to flourish in America. The Rebbe's son-in-law, R' Menachem Mendel Schneerson, took over leadership of the group upon the previous Rebbe's death, and in the 1950s, began to turn his followers towards outreach to Jews who were becoming increasingly alienated from Jewish tradition and religion. Tzfat has always been a center for the Chabad Hassidim. Chabad Hassidim came to Tzfat in the days of Eastern European immigration of 1777 - 1840, and they established synagogues and institutions in Tzfat. That old Chabad community had mostly disappeared by the 20th century, and the Rebbe instructed his followers to reestablish a presence in Tzfat in the early 1970s. Ever since then, the Lubavitch community has grown and flourished in Tzfat. 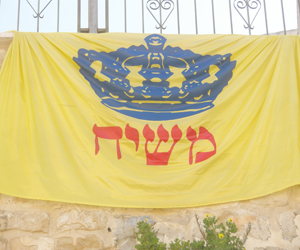 "Chabadniks" run schools and kindergartens in Tzfat, to which all are invited to attend. They manage one of Tzfat's largest soup kitchens and a hostel which provides low-cost accommodations to visitors, as well as home hospitality for Shabbat meals. On holidays, Chabadniks spread out through the city, entering homes and institutions to insure that all residents can fulfill the commandments of the holiday - they blow the shofer for people in the Old Age Home on Rosh Hashana and read the Megilla, the Scroll of Esther for people in the hospital on Purim. They set up a succa, a holiday booth, on the main street of town during the Succot holiday and invite people in to make the blessings that are traditional for that holiday. As Tzfat grows and develops, the presence of Chabad allows residents to grow and flourish spiritually, and Tzfat residents appreciate the efforts of this special community.